Q. If someone who believes in God but is not baptized and passes away, do they go to hell? A. This is an interesting question which requires some nuances to make the answer clear. The answer below comes from Chapter 3 of the My Catholic Worship! book. Click this link for a full reading of that chapter. Below is the section of that chapter that addresses your question. Now what about those who are not baptized you ask? What happens to them? And what about children who are not baptized? Are they doomed? These questions can only be understood if we understand the perfect love and wisdom of God in all things. God is not legalistic. He does not look at a child who dies and say, “well, sorry but I only take baptized children into Heaven.” This would be contrary to the infinite mercy and wisdom of God. At the same time, the Church teaches that Baptism is the only way we know of that leads to salvation. Therefore, it is necessary. So how do we reconcile these views that appear to be opposed? That is, how do we reconcile a loving God with the idea that Baptism is necessary for salvation? This is done quite easily. We believe that Baptism is the only way we know of (the only way God revealed to us) to receive the grace of salvation. But God, in His infinite love and wisdom is not limited by the limited revelation He shared with us. God can do whatever He wants to do. Therefore, if a child dies before Baptism, the parents should rest assured that God loves that child far more than they do. And this perfectly loving God will act in a way that is perfectly loving toward that child. One speculation is that God offers that child the same choice He offered the angels. They had a onetime opportunity to choose. So it is entirely possible that when this child dies and faces God, this child will be invited to choose to love God freely and, thus, spend eternity with God. But we must always remember that Heaven does require a free choice. Therefore, not even a child would be forced to be there against his or her will. Another interesting scenario is the adult who is not baptized. What happens when that adult dies? Again, we must look at this from the point of view of a God who is infinitely wise and infinitely loving. In this case there are a few possibilities. 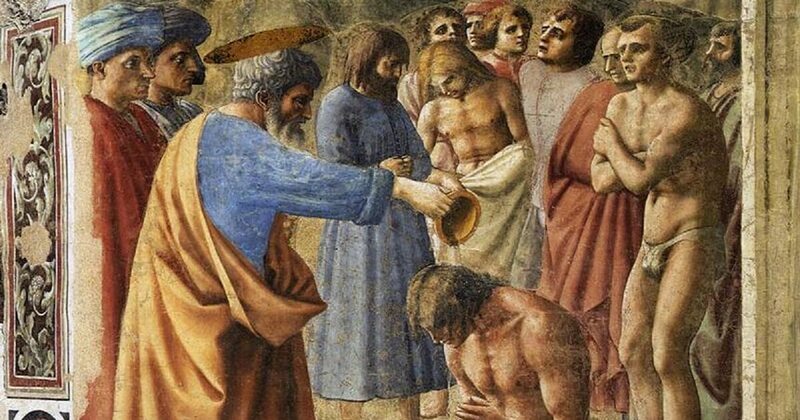 The first possibility is what is referred to as the “baptism by blood.” This would be the person who desires Baptism but, before actually receiving this sacrament, is martyred for their faith. We don’t see this that often today but it was a real situation in the early Church. We believe that this desire to be baptized, as well as the act of martyrdom, provides the grace of Baptism and thus the person is fully graced by God. Similarly, we speak of the “baptism by desire.” This would include those who believe and desire Baptism but die before they are actually baptized. Again, the desire alone suffices for God to pour forth His grace. This would also apply to children who die before they are baptized when the parents desired Baptism. The desire on the part of the parents suffices for the grace to be poured forth. Lastly, we need to look at the situation of those who did not choose to be baptized and, therefore, die without this sacrament. These cases will fall in one of two categories. First, there are those who through no fault of their own do not come to an explicit faith in Christ and, as a result, do not seek Baptism. In this case God will judge only the heart. There are many reasons why a person may not come to faith in Christ explicitly through no fault of their own. Say, for example, that a person lives in some culture where the Gospel has never been preached and they actually never heard of Jesus. Does God consider them to be guilty of eternal damnation because they never had the opportunity to hear about Jesus? Certainly not. Another example would be the person who heard about Jesus but received only a message of hypocrisy. Let’s say that the way the message was continually preached was skewed and malicious. Perhaps the preacher was living a double life and the person hearing about Jesus rejected the explicit Gospel message because the only messenger of that Gospel was presenting it in a very disordered way. In that case, the rejection of the message may actually be nothing more than a rejection of the hypocrisy of the messenger. And that may be a good thing! The bottom line is that God knows the heart and God sees the intention in that heart. So if someone fails to come to an explicit faith in Christ and, therefore, fails to receive the Sacrament of Baptism in an explicit way, God will still look only at the heart. And when He does look into that heart, if He sees goodness and faith, He will pour His grace anyway. So, this is the case where a person who is not baptized may actually be following the voice of God in their conscience without even realizing whose voice that is. In reality, this person has faith and God will see that!